I’ve been making chapatti for a while now, but with only average results. My chapatti are often too dry, without that nice foldable quality you get in restaurant chapatti. They also seem to acquire a shell of “flour”, inherited from the rolling process, making them almost stale by design. But today I had a major chapatti breakthrough that I wanted to share. These chapatti were a total case of “who you know”: they wouldn’t have come together if it weren’t for input from a few key players. At the top level there was The Essential Madhur Jaffrey cookbook, whose chapatti recipe I used for the basic ingredient proportions, kneading and cooking techniques. But as all bread bakers know, even the best recipes are hard pressed to convey the subtleties of the cooking process. This is where I’m grateful for the experience of a few baker friends I know. First, Toddy Peters told me a thing or two about chapatti flour and how to work with it. First of all, not all chapatti flour (aka “atta”) is made equal. There are whiter varieties, and “cheaper versions that are more wholemeal and therefore going to produce a coarser, thicker bread”. I’ve been using straight up Shipton Mill wholemeal flour, the same I usually use for wholemeal bread, which is indeed rather coarse. So today I decided to lighten it up a bit by sifting the wholemeal flour, and adding the same amount of white spelt flour. Toddy also told me: “when rolling out, I have a small plate or thali of flour and I never flour the rolling surface, and I dip the ball in the plate of flour, but also shake off excess.” Now I see why my chapatti of yore were always so floury – I went waaay overboard on flouring my work surface. Toddy’s tip basically solved that problem. Once rolled, there was the question of cooking chapatti. Ms. Jaffrey recommends a tava, which I totally don’t have. And further, I don’t really trust my electric hob to do the job. Fortunately, Trevor from Hobbs House Bakery offered a hefty tip at last week’s Foodie Bugle Lectures: Use the grill. For home bakers, the grill is really the only way to get a high enough heat for successful chapatti, pittas and flatbread. And happily, it’s spring and perfect weather for cooking outdoors. One last thing: I also added a few ajwain seeds to the dough, courtesy of The Botanical Baker, Urvashi Roe, who gave me some during our epic foodie weekend to add to my chickpea pancakes. Don’t know why but I felt compelled to try them in chapatti – loved it! I started with the 90g water and 90g flour, adding more flour until I had a soft, kneadable dough (so, just beyond the realm of “sticky”). 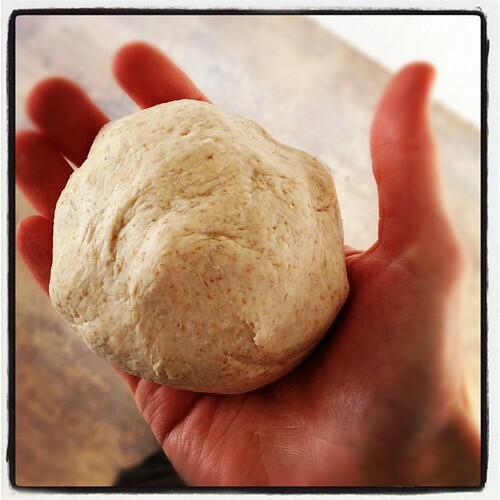 I kneaded the dough for five(ish) minutes then let it rest for an hour or so while I attempted to be productive. I then divided the dough into 8 little balls (using my hands to pull the dough apart and then shape them into cute little compact balls). I dipped each dough ball in flour and then rolled them out into a thin round (I had to add a bit of flour as I went to prevent sticking). I heated up the outdoor gas grill on high. My gas grill has two sides – one open to the flame, the other not (you can sort of see this in the picture up top). To make the chapatti, I first put the chapatti on the non-flame side and cooked for about a minute on each side, so that little brown spots started to form. Then I moved the chapatti to the flame side for about 30 seconds, where they really began to puff (I got this no flame / flame idea from the Madhur Jaffrey cookbook – though I reckon you’d do just fine with or without the flame, or even in the grill of an electric oven). The chapatti made for a seriously happy-making lunch of yellow pea dahl and spinach with pickles and chutney. I’m sure I have more to learn about chapatti and I’m open to any ideas or suggestions from you chapatti experts out there. I’ll probably experiment with other flour types and combinations in the future. But today’s effort made me really happy. They were soft, pliable, and extremely tasty! I loved the occasional hit of ajwain seed. And they are happily foldable, so don’t be surprised to find them doubling as tortillas in my breakfast tacos and fajitas. 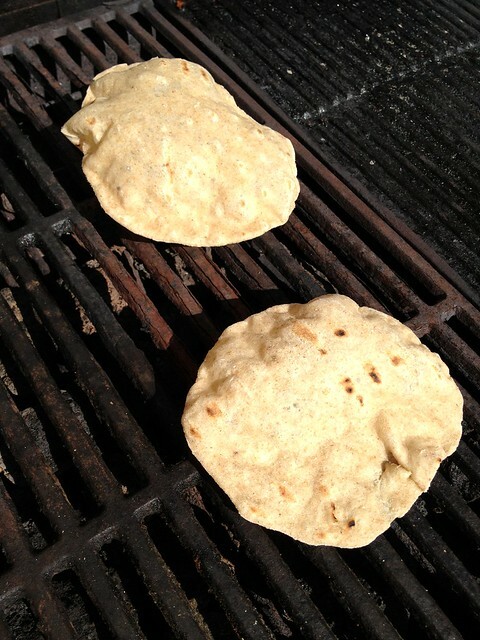 Related reading: Mark Bittman’s Recipe and Video for Grilled Chapattis in The New York Times. Ridiculously drool worthy! I’m so ready for the wheat ban to be lifted in the house. Love how you’re breaking out the grill! They say two heads are better than one, in this case three or four heads are better than one when it comes to chapatti success! My friend, Nimo, has cooked breads of all kinds on her grill, tossing them over her shoulder artfully with a wink at who is watching. Once you master them, you too may find yourself getting into the performance aspect of it. 🙂 They look and sound fabulous… what does ajwan taste like? I have a gas hob, so have great fun making chapattis. Unfortunately my husband is on a ‘I’m not in the mood for curry’ drive at the moment. Maybe it’s time to go fusion – chapatti with scrambled eggs? 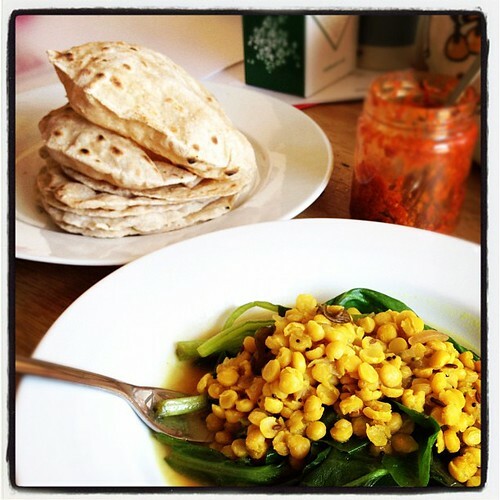 Chapatti with Mexican? Why not?! We just returned from our favorite Indian restaurant, Shera pun jab with lots of good nan bread. But they do not serve chiapttis. Will have to ask them if there is a regional difference. Looks yummy. Khan said the food they serve is northern Indian, from the Punjab area of India in the north. Tandoori is a bit more spread out but popular in many parts of India. He said southern Indian cooking is different. The chappatis look just perfect to me! Love it when someone has done all the research and legwork out of testing recipes for me 😉 Is there a difference using white spelt instead of wheat flour specifically for chappati? Thanks, shuhan! No I don’t think there’s a different – I used spelt because that’s what I happened to have. I’m sure wheat flour would work too (that’s the way it’s usually done). 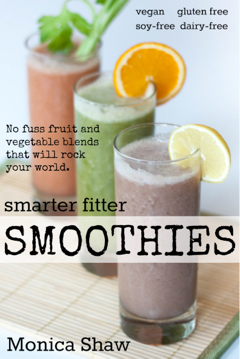 Let me know if you try these and how they go!